High quality wall-mounted room dividers. 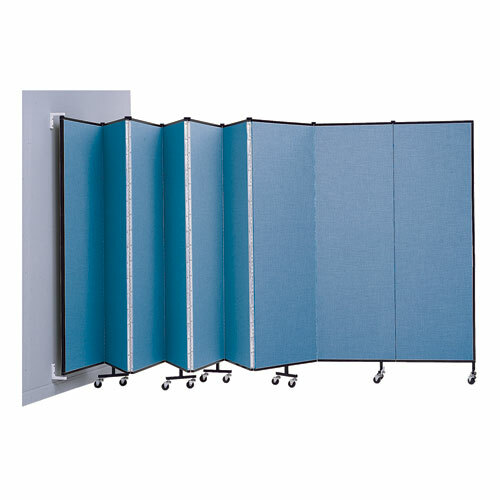 Ideal for schools, churches, offices and other large meeting areas. Available with inherently flame retardant material. Turn any large space into quiet, smaller working areas. Wall-mounted room dividers will provide multiple and variable sized class or work areas without all the limitations and costs of ceiling mounted track systems. Units fold conveniently against the wall for storage and can be extended in any configuration to divide your space as required.